The 2019 legislative session is ramping-up. During the coming weeks and months, bill proposals will come before committees for public hearings and start advancing through the process. There are many resources and tools that you can use to follow the action, research the issues and to share your support or opposition to legislation. 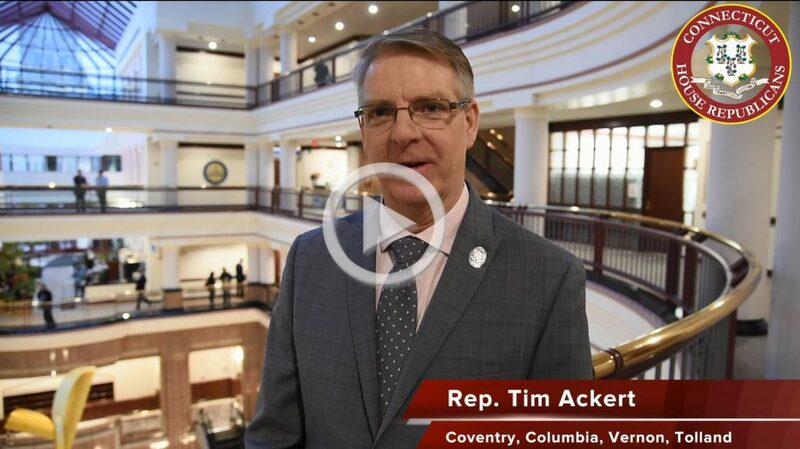 As always, I am here for you, feel free to reach out to my office Tim.Ackert@housegop.ct.gov or (860) 240-8700 to share your thoughts, questions and concerns about state government.